Every record captured through your forms is available to you in a powerful web-based database. Stop working out of your inbox and simplify your routine tasks. Get organized. All of your form submissions are stored in this central database. You can search, sort filter and drill down into your data. Set flags to mark priority records and automate follow up tasks. Our data management tools can help simplify your life. 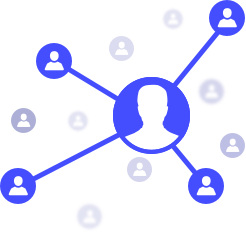 Share your data with sub-user accounts. You configure exactly what data the sub-user can see by using views and define their permissions. Share data within your organization or brand it as your own and share it with your clients. Go beyond our default database view and build a web portal, with your color scheme and look and feel, for accessing your data. Publish your form data with complete control. Use our Workflow wizard to instantly design a web portal for your staff (no per-user pricing! ), and publish your form data. 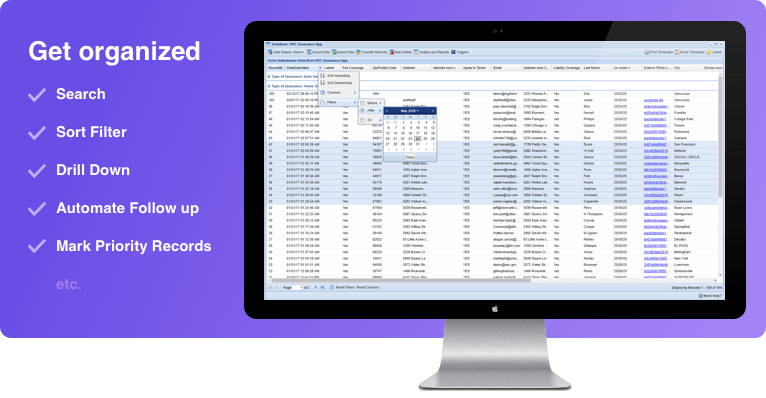 Control precisely what each logged in user see's with simple to configure permissions.